Book your Franschhoek accommodation with Discover South Africa and explore this wonderful quaint town in the Western Cape. Franschhoek meaning ‘French Corner’ in Dutch, came about when a community of French Huguenots were granted land in this valley in 1688 by the Dutch government of the Cape, after fleeing their homeland when Protestantism was outlawed in France. 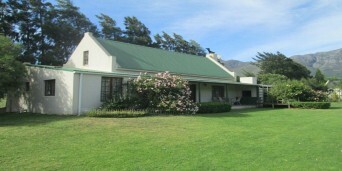 Many farms still have the original Cape Dutch architecture. 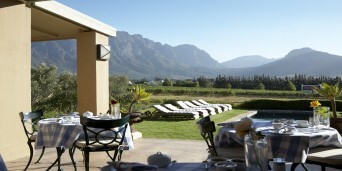 Nestled between vast mountains in the beautiful Cape winelands lies the magnificent Franschhoek Valley. This is the food and wine capital of the country, where splendid wines are produced and top chefs create delicious international cuisine. Here breathtaking scenery, warm hospitality, world class cuisine and the finest wines all combine to create lasting memories. The accommodation Franschhoek offers is only 1 hour away from Cape town and between half an hour to an hour away from the Stellenbosch, Paarl and Somerset West Wine Routes, which makes Franschhoek perfectly placed for a weekend getaway or a wine tasting holiday. Franschhoek a traditionally French town is the gourmet capital of South Africa, restaurants will treat you to cuisine that is delectably indulgent, ranging from rustic to gourmet with something to please every palate. Once you have your accommodation in Franschhoek whether it is a quaint B&B, beautiful Boutique or stunning guest house, you will find ample things to do and see in this lovely town. The main road is riddled with antique and art shops, coffee shops and restaurants and even a champagne bar. The restaurants serve the local wines, or you could venture into one of the over twenty-five wine farms in the area and try some delicious wines from the source. Overlooking the vineyards where the grapes were harvested, each one an exceptional experience heightened by the beauty of its setting. When you stay in Franschhoek you can visit the Huguenot memorial museum, the Huguenot monument or if you’re a car enthusiast, the Franschhoek Motor Museum on Rupert Wine Estate -the museum has a great collection of vintage cars. In a valley surrounded by mountains and vineyards, Franschhoek is the ultimate getaway. You will feel like you walked into a painting in this picturesque, quaint town. 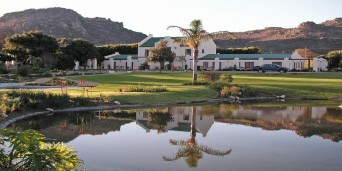 So find a place to stay in Franschhoek, and create a memorable holiday. 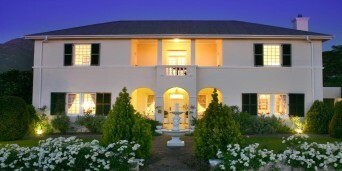 A memorable experience awaits anyone looking for accommodation in Franschhoek. A stunning landscape, amazing people and vineyards that stretch as far as the eye can see are among the list of features that make this French connection a splendid place to visit - if not on a regular basis, then at least once in your lifetime. 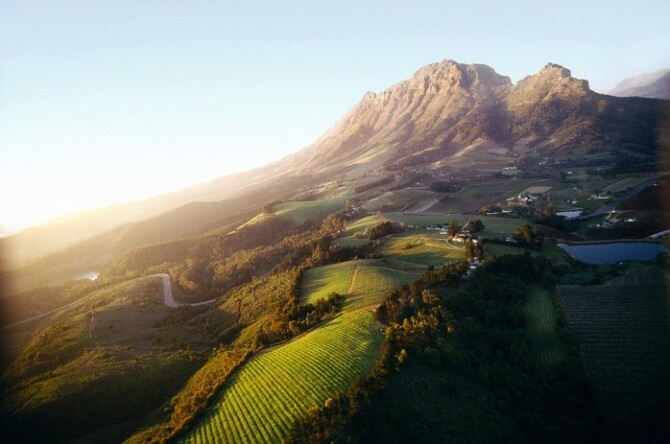 Discover South Africa brings you closer to finding suitable Franschhoek accommodation, as we select only the finest spots in which to spend your vacation. The town of Franschhoek is set in a picturesque valley between two gargantuan mountains in the Cape Winelands. The town is approximately 80km from Cape Town when using the N1 and R45 roads, and the trip there makes for a beautiful drive. The town is well known for being the food and drink capital of South Africa as well as being one of the oldest towns in the country, with 300 years of wine making experience behind it. There are plenty of activities to take part in and places of interest you can visit in the town, from dining in eight of South Africa's top 100 restaurants and visiting museums and galleries such as the Huguenot, to exploring neighbouring wine routes and mountain hiking. 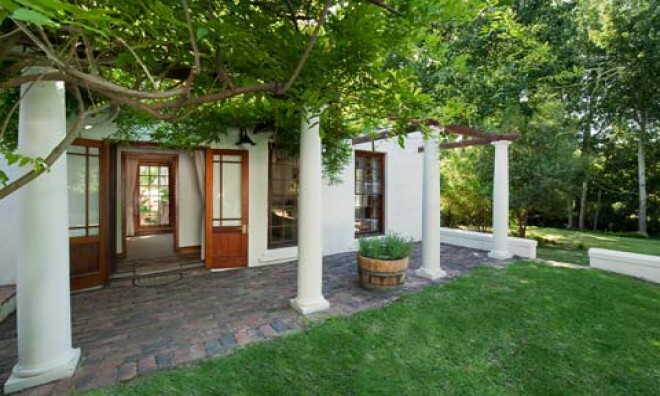 When it comes to accommodation, Franschhoek offers any traveller a bounty full of choices, as you can find bed and breakfasts, guesthouses and lodges all around the town. Whether you are travelling to the town for a family vacation or a romantic honeymoon getaway, you won't be disappointed with Franschhoek accommodation. Friendly service and first class facilities, coupled with the fact that your accommodation is located in one of the world's most magnificent wine valleys, makes your decision to visit a great one. This small town is the ideal place to relax and enjoy the serene atmosphere and vibrant culture while sipping on glass of wine. We pride ourselves on selecting the best accommodation to will enhance your experience while staying in any place you choose to visit. 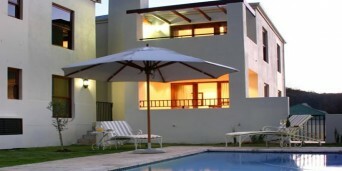 Browse our selection of accommodation in Franschoek and select the one you like the most.